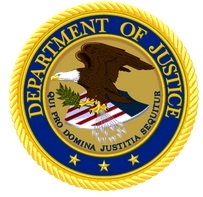 The Department of Justice has announced that the 3M Company (3M), headquartered in St. Paul, Minnesota, has agreed to pay $9.1 million to resolve allegations that it knowingly sold the dual-ended Combat Arms Earplugs, Version 2 (CAEv2) to the United States military without disclosing defects that hampered the effectiveness of the hearing protection device. The settlement announced today resolves allegations that 3M violated the False Claims Act by selling or causing to be sold defective earplugs to the Defense Logistics Agency. Specifically, the United States alleged that 3M, and its predecessor, Aearo Technologies, Inc., knew the CAEv2 was too short for proper insertion into users’ ears and that the earplugs could loosen imperceptibly and therefore did not perform well for certain individuals. The United States further alleged that 3M did not disclose this design defect to the military. A former employee of the U.S. Army Corps of Engineers (USACE) based in Afghanistan pleaded guilty yesterday (July 25, 2017) to soliciting approximately $320,000 in bribes from Afghan contractors in return for his assistance in U.S. government contracts. 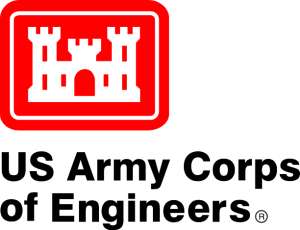 Mark E. Miller, 48, a Contracting Officer’s Representative (COR) with the United States Army Corps of Engineers (USACE), pleaded guilty before a U.S. Magistrate Judge in Springfield, Illinois. Miller is scheduled to be sentenced on November 30, by U.S. District Judge Richard H. Mills. During the court hearing, Miller testified that he worked for the USACE from 2005 until 2015, including in Afghanistan from 2009 to 2012. From February 2009 to October 2011, Miller was assigned to a military base, Camp Clark, in eastern Afghanistan. While in Afghanistan, Miller was the site manager and a COR for a number of construction projects. Miller testified to the fact that on Dec. 10, 2009, the USACE awarded a contract worth approximately $2.9 million to an Afghan construction company for the construction of a road from eastern Afghanistan to the Pakistani border. This contract later increased in value to approximately $8,142,300. Miller oversaw the work of the Afghan company on this road project, including verifying that the company performed the work called for by the contract and authorizing progress payments to the company by the USACE. Miller admitted that, in the course of overseeing the contract with the Afghan company, he solicited approximately $280,000 in bribes from the owners of the company, in return for assisting the company in connection with the road project, including making sure the contract was not terminated. Miller further admitted that, after the contract was no longer active, he solicited an additional $40,000 in bribes in return for the possibility of future contract work and other benefits. 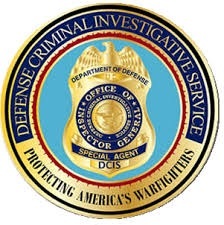 This matter was investigated by the FBI, the Defense Contract Investigative Service, the Special Inspector General for Afghanistan Reconstruction (SIGAR), and the Army’s Criminal Investigation Command.